Some of the most effective web templates that you can get your hands on are the ones that have HTML5 functionality. Whether it is for a fashion website template, or for various other web pages that you manage, these types of themes will definitely impress your site visitors. Just what is it about them that gets people so hyped? To answer your question, it is all about the features that they have. Yes, it is true that they share some similarities with the usual web themes, but HTML5 templates have a completely different function which gives them their edge. 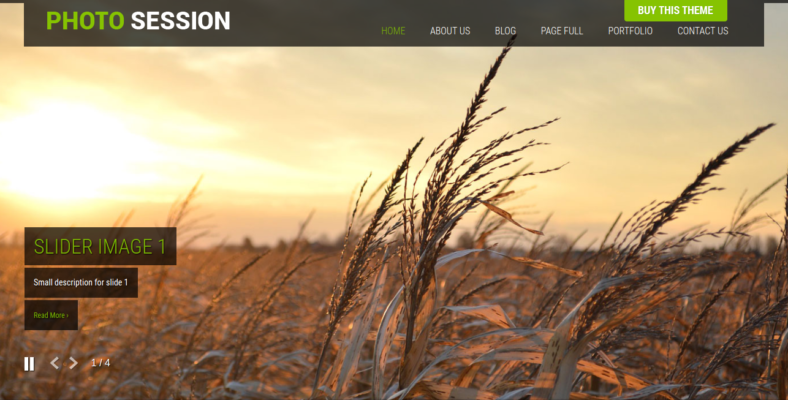 In this collection, we feature some of our favorite responsive HTML5 web templates. 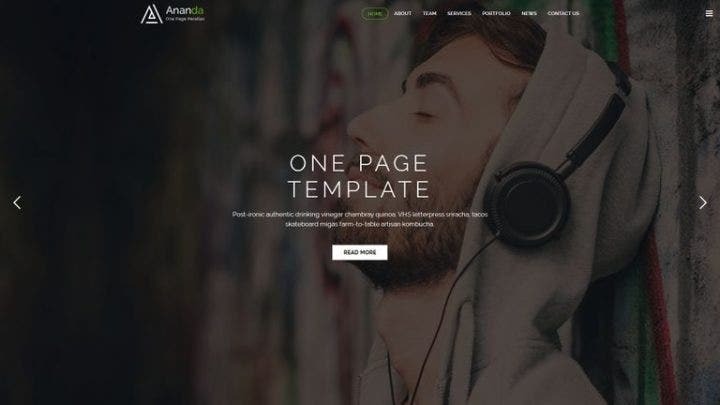 Ananda is a Parallax one-page template that has a fully responsive layout. It is coded with both HTML5 and CSS3 functions for animation. It has the latest version of Bootstrap as well, which means this template has a top quality level of performance. It features six unique home pages that its users could choose from. It also has Search Engine Optimization (SEO) support along with a clean and minimal design. It has Google Fonts and Font Awesome Icons as well. You will find everything that you need in a template and more with Smart. 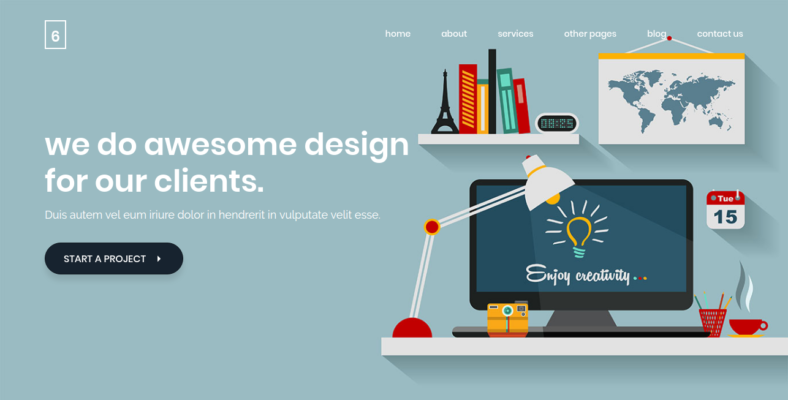 This HTML5 website template has a ton of helpful features that help its users in a very big way. The theme can be easily customized and you will definitely find yourself having a pleasant experience with it. You have eight distinct home layouts to choose from, all of which have unique designs. Of course, it also has HTML5 and CSS3 codes and it runs on the Bootstrap 4.0.0-beta. The images that you will be using for your site will come out pixel-perfect and you will not have to worry about being left behind the trend because this template sports a modern design. 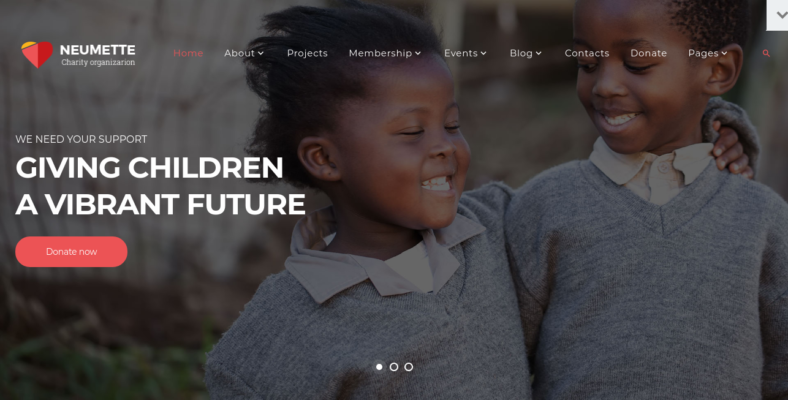 If you run a charity organization or you are a volunteer for one who has been tasked to design its webpage, then you should definitely use one of the best charity website templates available. 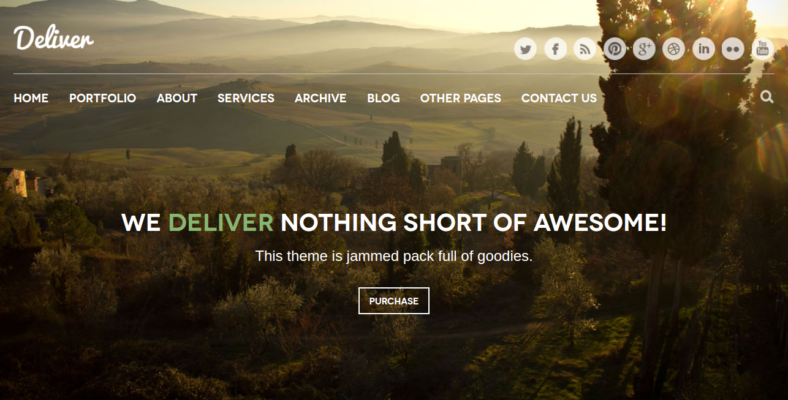 Neumette is an amazing HTML5 web theme that would perfectly suit your charity site’s needs. This particular web template has various working forms, giving you the opportunity to have a wider range of freedom to tweak the site to suit your preferences. Its code is also SEO-friendly, which gives you the advantage when it comes to search engines like Google, Bing, Yahoo, and more. Some webpage themes only have a handful of HTML5 pages, but this one has 35 of them. 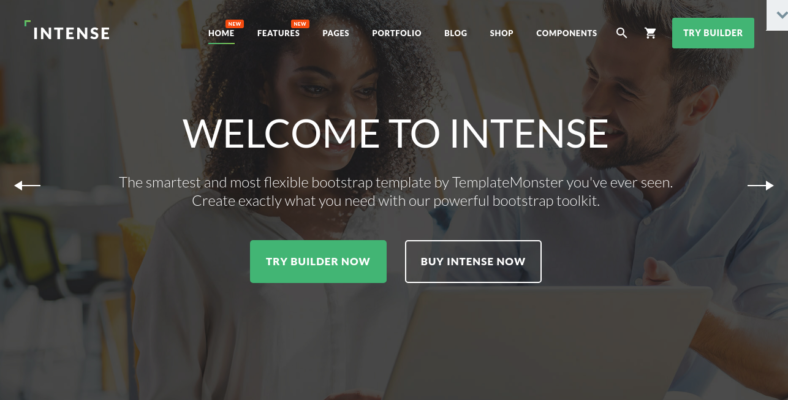 Intense is a special kind of webpage theme because it is capable of performing numerous functions due to the fact that it was designed to be a multipurpose website template. It is full of features that would certainly come in handy for its users. It has more than 20 templates and over 15 sliders, which is amazingly plentiful. HTML files are very important for HTML5 pages and the template has certainly taken that into consideration, with the 500+ HTML files that you can readily use any time. If you feel like going for a blogging type of format for your content, you have more than 30 blog templates on the ready. The layouts are also 100% responsive, which means they can be viewed on mobile phones, desktops, laptops, and tablets. 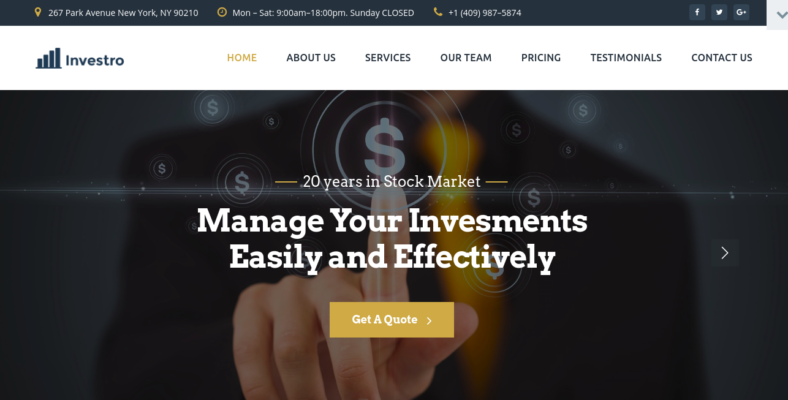 If you are looking for a reliable HTML5 template for your investment firm or company, then you should not let Investro pass you by. The theme has a vibrant User Interface (UI) kit that makes it user-friendly for a lot of people. Its Semantic Coding has also been verified and validated under legal standards, making it more eligible and reliable. This webpage theme’s fully responsive layout has been paired up with Cross-Browser capabilities, making it more accessible for various types of devices without the limitations of browser compatibility issues. It is undeniable that some of your customers and site visitors would like to get in touch with you, which is the main purpose of the Contact Form that is embedded in its design. 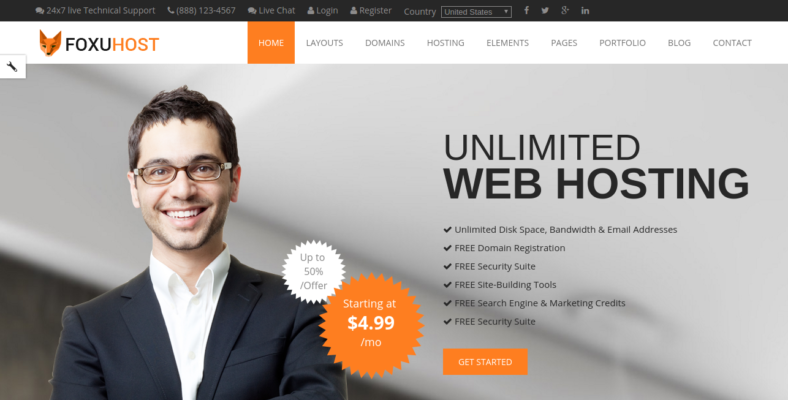 Foxuhost is a web hosting website template and an HTML5 theme as well. The template features seven distinct hosting layouts, all of which have impressive details when it comes to design. Header styles have always been an issue for a lot of webpage themes, but you will not be having that problem with this one because it has seven unique header styles that you could definitely go for. There are also 10 elegant background options and colors to choose from, along with numerous slider variations that will definitely pull people in with their fantastic designs and smooth transitions. 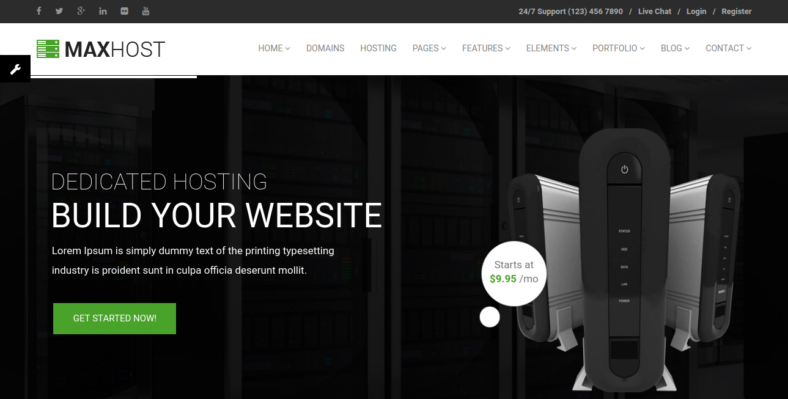 Since we are on the topic of web hosting sites, here is another one that comes with the title of Hostlinea. 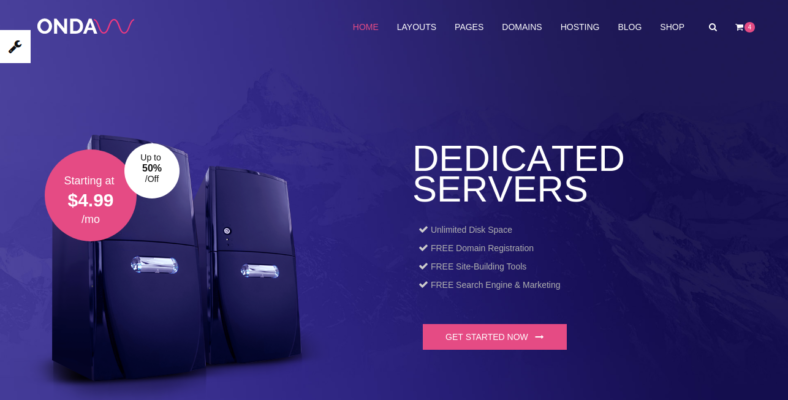 This one is a bit different from the previous one because this is a web hosting Bootstrap theme due to the fact that it runs on the Bootstrap framework. The template has numerous home page styles, all of which have their own unique way of presenting content on your site. There are different types of layouts as well such as wide, boxed, and one-page layouts. You can customize its style using the Style Customizer and edit its colors. 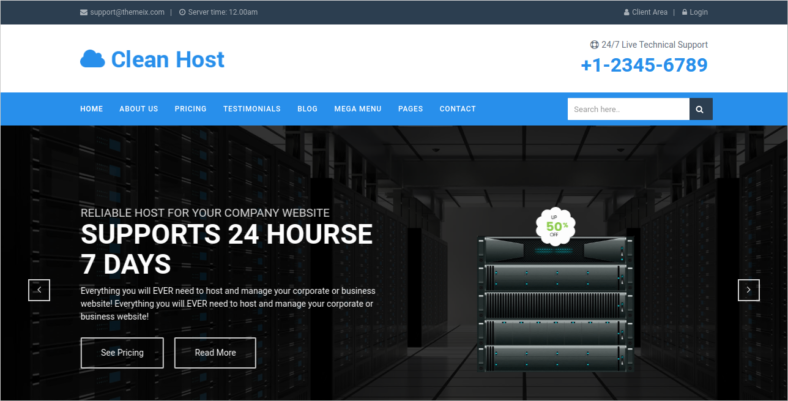 ColorHost is yet another HTML5 hosting theme and it is a very effective one. This is due to the very powerful all-in-one client management, billing, and support for various types of businesses provided by the Web Host Manager Complete Solution (WHMCS). It has integrations with Google Fonts and Font Awesome Icons as well, which greatly helps when it comes to the typography editing process. It is also W3C-validated with a layout that is 100% responsive, capable of being viewed and accessed on different devices like laptops, smartphones, and desktops. It has cross-browser compatibility, too. ZionHost is a web hosting template that has 10 layered Photoshop Document (PSD) files. 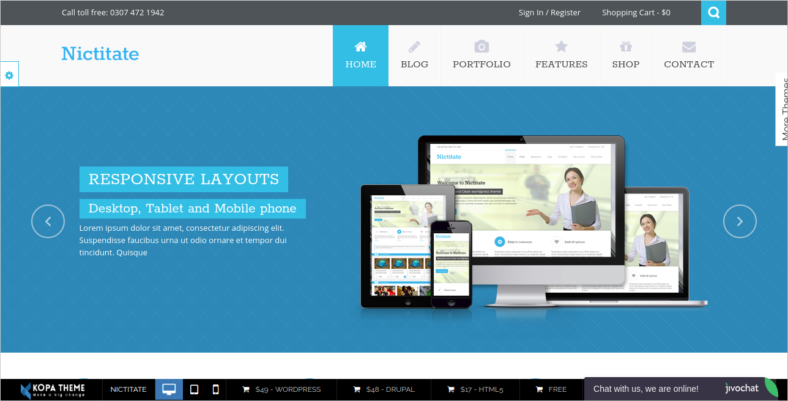 However, this does not mean that it is a web hosting PSD theme because it still is an HTML5 template. Aside from the PSD files, it also has 10 unique page layouts and 10 different website layouts. The theme’s design is fully responsive, has an unlimited amount of colors, unlimited patterns, and various Parallax backgrounds. 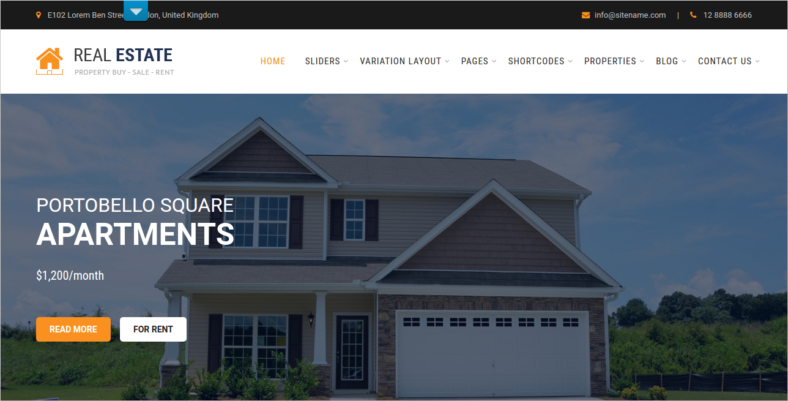 It has more than 100 page templates for the layout and, along with the Slider Revolution functionality, it helps make the slides transition smoothly and seamlessly, improving the visual aesthetics of your site. 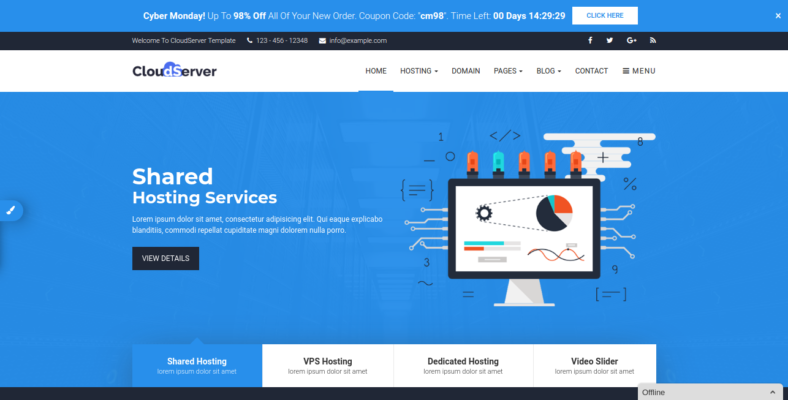 CloudServer is not a free responsive HTML5 template, but there is a reason why it is a premium one and why a lot of people pay for its services. This web template has a ton of helpful features to offer like its retina-ready function, which allows it to automatically adjust its size to fit any screen without sacrificing quality. The 10 default colors can be easily changed using the Color Switcher and the clean design helps to improve your site’s performance. Speaking of performance, this theme can also run on the latest stable Bootstrap version. Deliver is certainly true to its namesake since it will provide your site for business or portfolio with everything that it needs and more. 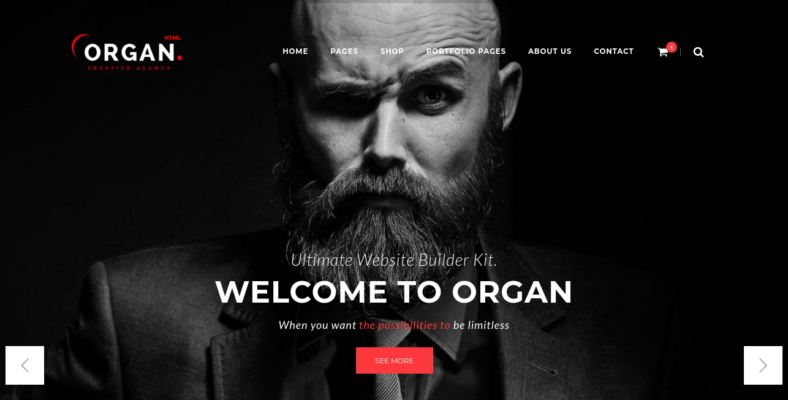 This template has a Semantic HTML5 structure, which basically makes it a portfolio HTML5 theme that you can use to attract potential clients. Aside from that, it is also SEO-friendly, which means you have a greater chance of reaching a wider audience because your site would have a high rank in search engines. The layout design is 100% responsive, accessible, and viewable on devices like tablets, smartphones, desktops, and laptops. It has a filterable jQuery portfolio as well, giving you the opportunity to filter images on your site. With the capability of 100% responsiveness, it is safe to consider that Nictitate is one of the many multipurpose mobile templates out in the market. This HTML5 theme has two different styles of blog pages, a dazzling portfolio page, and 16 validated HTML5 pages. It was built using the Bootstrap framework and has been integrated with a retina-ready design, along with the CSS3 and HTML5 combo for animation. It comes with a 404 Error page as well. 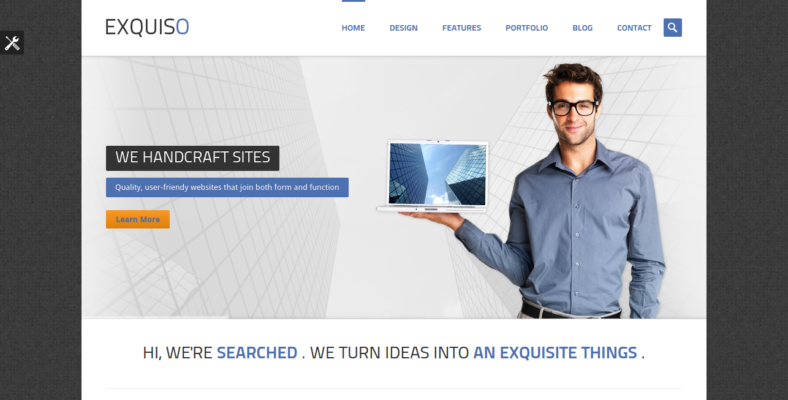 Exquiso is a multipurpose template that has a wide range of style options and website elements that its users could choose from. It has 10 predefined color skins as well, all of which have unique and elegant designs. Widgets are also available for Flickr and Twitter. The theme has support for Google Maps as, too. It has cross-browser compatibility as well. 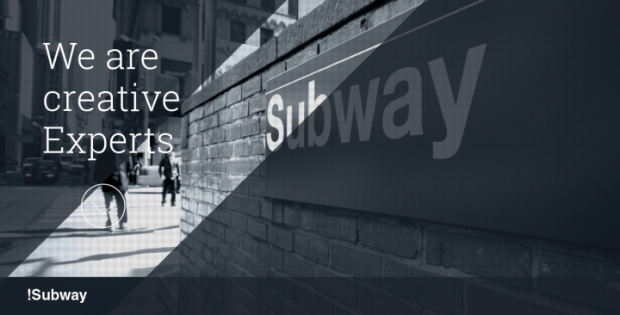 If you are looking for a creative template that would allow you to be artistic during the process of editing and creating your site, then Subway can definitely do that for you. Right off the bat, the animation will impress you, your customers, and site visitors because it is backed up by HTML5 and CSS3 plus jQuery codes. You will be protected against spam as well, thanks to the anti-spam protection that the Ajax Contact Form implements. 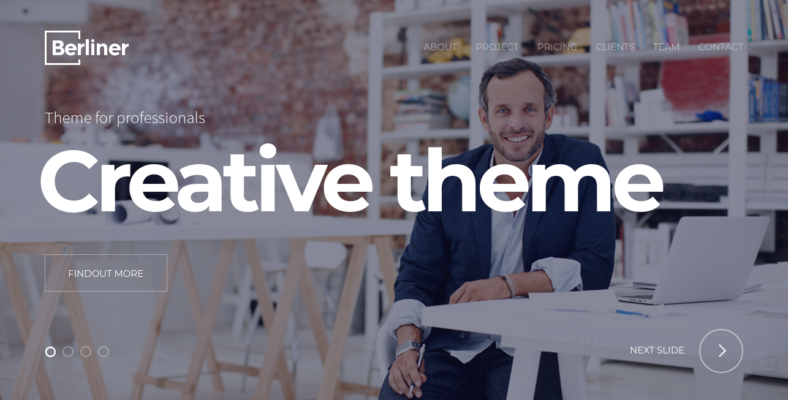 Although Berliner does function as a multipurpose template, it is also considered as one of the best portfolio Bootstrap themes out in the market. The template is user-friendly and it expertly documents the things that occur in the theme, the changes, the upgrades, etc. It is fully responsive, making it easier for users to access your site on any device such as a tablet, mobile phone, desktop, or laptop. Custom-made icons, as well as Font Icons, are readily available for the users to utilize at any time. It has integration with Google Maps and it runs on the Bootstrap 3 Framework for maximum performance. 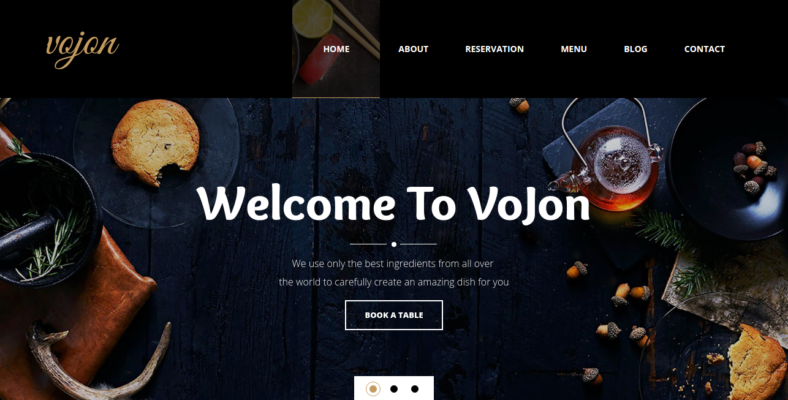 Vojon is a restaurant HTML5 template that has a fully responsive design. The template itself is neat and clean, ensuring that it follows the latest trends when it comes to restaurant website design. You get to work with 19 HTML pages, four beautiful home pages, a single blog page, and a blog listing page. CSS3 animation effects are also available in the template’s arsenal, along with HTML5 videos. It was built using the HTML5 and CSS3 combination and it is powered by the Bootstrap 3 Framework. There are a lot of HTML5 websites out there and there are definitely plenty of templates for them as well. But only a few web themes are capable of going toe to toe when it comes to features with Organ. 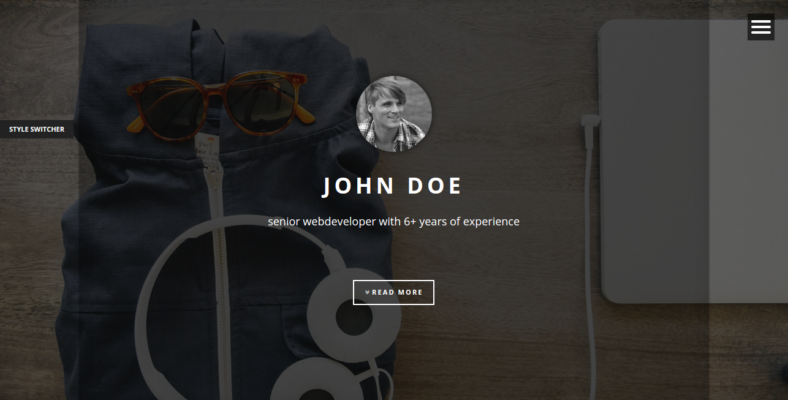 This web template has over 100 elements that its users could play around with. It has 22 homepage layouts with clean and modern designs along with over 22 unique concepts that the designers will soon be releasing. Multiple header styles are also available and, if you want to make a resume page, this theme can handle that task as well. It is fully responsive with more than 60 valid HTML pages and 150+ Awesome blocks and options. 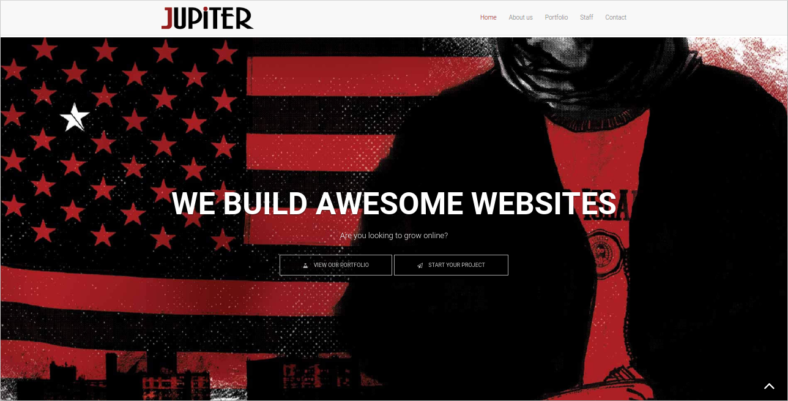 Jupiter is a multipurpose web template that specializes as a corporate HTML5 theme and works well with with various business-related sites. Its W3C code has been validated and the various codes inside the theme are fully documented as well. You will not have to worry about animation issues because the CSS3 style language takes care of that for you. Google Web Fonts are integrated for easy typography editing. Best of all, the developers offer free updates. If you are looking for a brilliant fashion HTML5 theme, then you will not have to look any further because Fancy is here. The template comes in three different variations and has over 50 pages that are easily customizable. 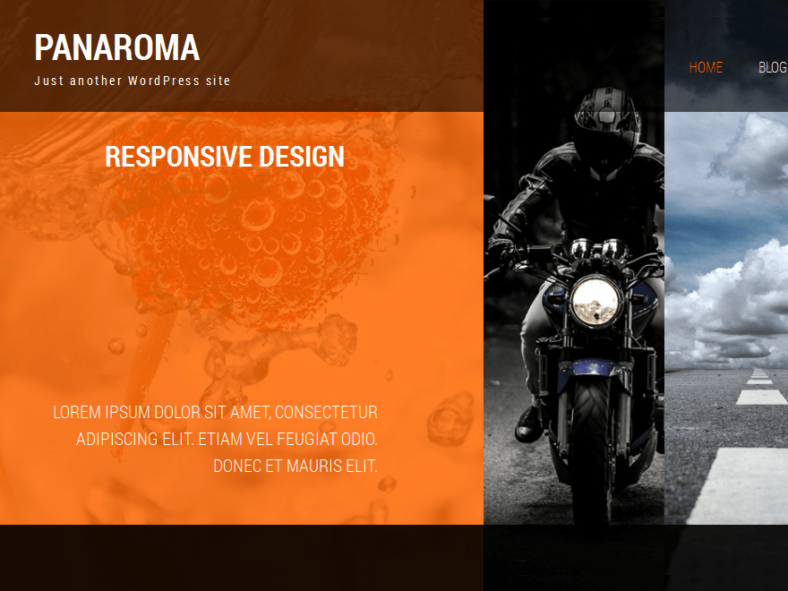 Its layout is 100% responsive with amazing CSS3 animation effects. It also sports a clean design, which means less noise in the background and improved performance. Font Awesome icons are available for your icon editing needs and Google Web Fonts will help you out with your typography editing. There are a lot of resume templates available in the market, but one of the best HTML and CSS resume templates is LifeLine. With a fully responsive design that is accessible and viewable on different kinds of devices, you would certainly have an easier time attracting site visitors and potential clients. It comes in two variants which are Minimal Setup and Complete Setup, with eight predefined color sets and 479 Font Awesome icons. It has a working Personal Home Page (PHP) contact form and Google Web Fonts to aid you while you edit the template’s typography. If you are in the market for a free photography WordPress theme, then you certainly have come to the right place because we have SKT Photo Session just for you. The template is responsive and looks spectacular on mobile phones. It has support for plugins like Contact Form 7 and WooCommerce. You will find it easier to share your website with various people as well, thanks to the theme’s integration with social media. Furthermore, it is coded with HTML5 and CSS3, and it could support up to 5 dropdown levels. 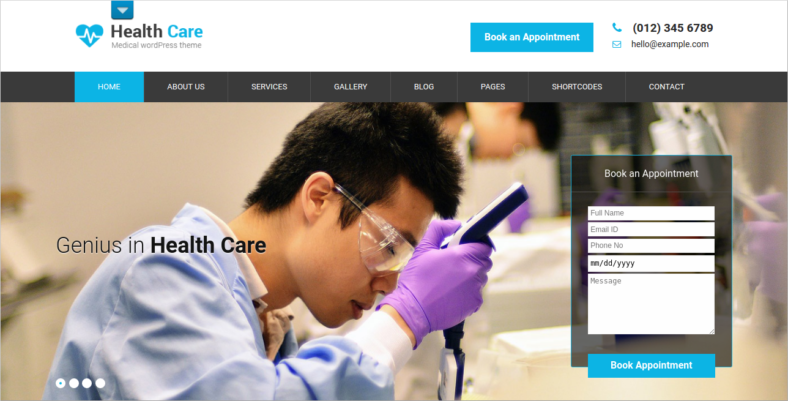 As the name suggests, SKT Medical Pro is a medical template, but it is not just any kind of medical theme. It is one that has cross-browser compatibility, a fact that has been tested and proven by the designers. Its color picker lets you change the hues and textures of the preset colors, effectively giving users unlimited color possibilities. It is fully responsive to any device and the theme’s documentation is also superb. Additional features include over six page templates, over 500 available icons, a 404 error page, and social media integration. Real estate is a very lucrative business that anyone can venture into. Of course, you have to introduce your business to the public and the best way to do that is by making a website. Real estate website templates are in abundance nowadays, but one that stands out is SKT Real Estate. This theme has built-in shortcodes, codes that would prove to be very useful in improving your site’s overall functionality. The template has also been checked for cross-browser compatibility and responsiveness to multiple devices and has passed them. Additionally, language barriers will not be an issue as well because the template is translation-ready, making it easier to communicate with people from around the world. Owning a hotel can be a lucrative business for a smart investor. A hotel can generate a lot of income for you since people nowadays are constantly travelling. 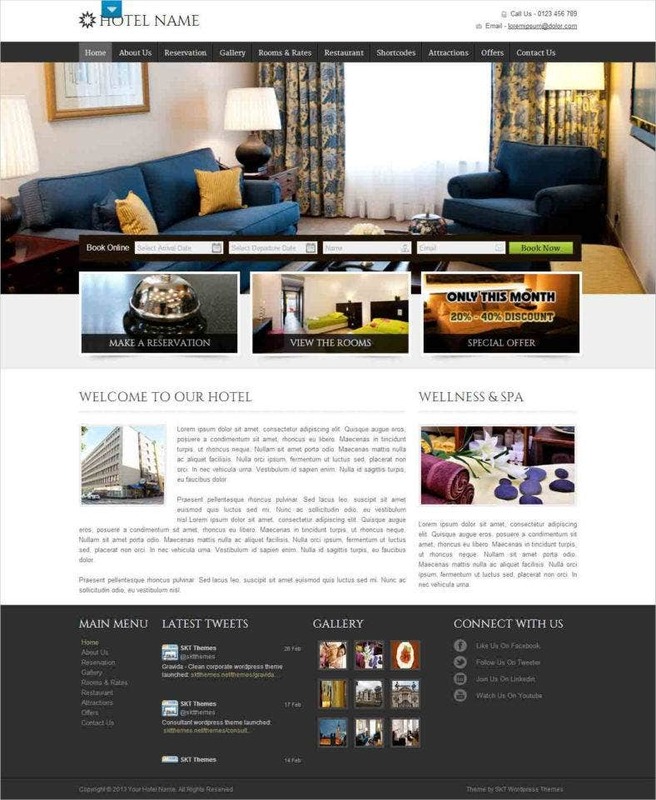 If you would like to make a webpage for the hotel you own or the hotel you work for, then you need to get some hotel website templates and SKT Stay Here is a good place to start. The theme looks amazing on any kind of device since it is 100% responsive. It has over 650 Google Fonts, more than 12 transition effects, and is coded with both HTML5 and CSS3. Photography webpages are very important because they serve as a portfolio for photographers. If you ever need a photography website template, then you should definitely check out SKT Panorama Pro. The theme has an easy-to-use color picker, allowing you to change and tweak colors in a simple and quick manner. It is also SEO-friendly, which means you can add SEO plugins to help increase your site’s rank in search engines. Like our other example templates, this one is 100% responsive, with additional perks like over 600 Google Fonts, more than 50 social icons, and 100 available shortcodes. 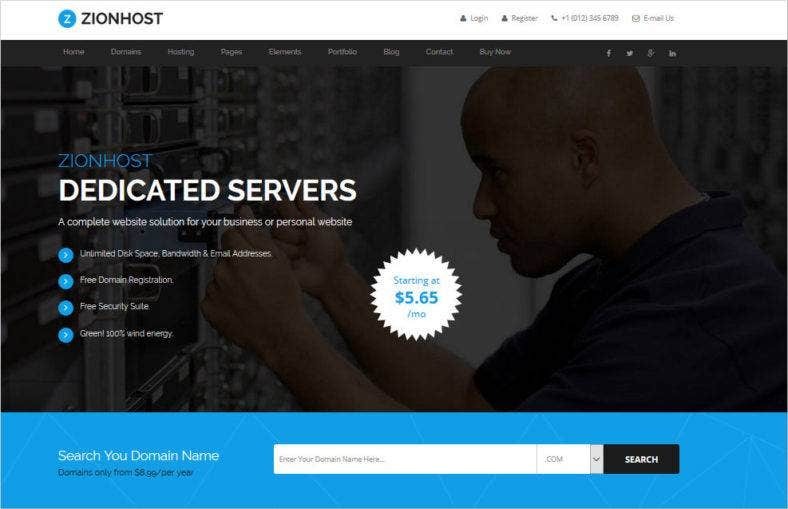 If you are looking for a reliable information technology template that specializes in web hosting, then MaxHost is definitely the one for you. The theme is 100% responsive, which means you will not have to worry about your customers or site visitors using smartphones, tablets, desktops, or laptops because the site is accessible on these devices. Integrations with Google Maps are also available, making it easier to include your business’ physical address. Video backgrounds can be included in your site as well. There are not a lot of HTML5 SEO templates out there, so stumbling upon Six is definitely a rare opportunity. 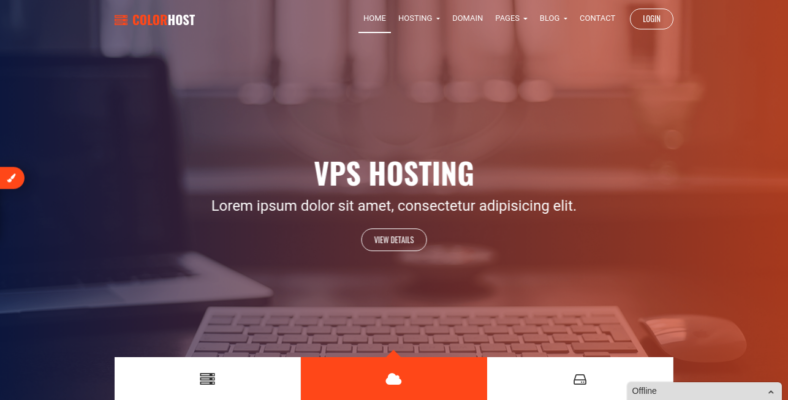 This template is basically an HTML5, SEO, and web hosting theme with amazing features. Its pages are fully responsive and it runs on the latest versions of Bootstrap, HTML5, and CSS3. This multipurpose template can be used as a portfolio, web design, SEO, or web hosting site. It has two functional working Contact Forms, too. Onda is a professional template that has a clean and simple design as it mostly banks on functionality rather than visual aesthetics. It has a lot of features such as three multi-page layouts, a fully responsive design, and a boxed version of the various layout designs. However, that is not all that this template has to offer because it has mega-menu styles as well, which are perfect for all your dropdown needs. Layered PSD files are also available, as well as a slider revolution for smooth and fluid slide transitions. It has cross-browser compatibility, too. 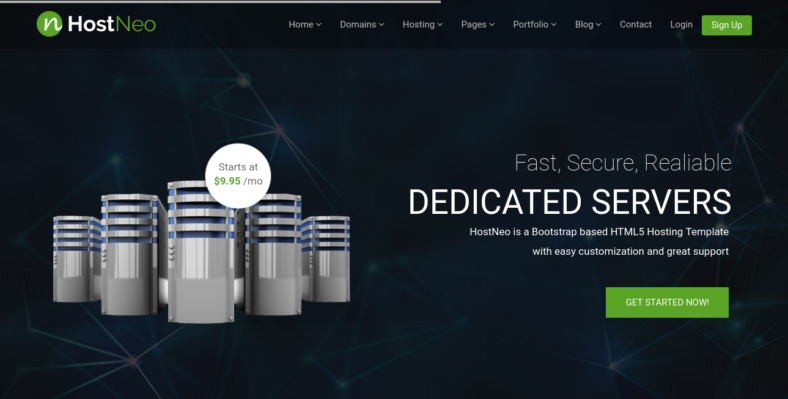 HostNeo is a theme that is ideal for web hosting-related services with a serious, professional vibe to it. But that does not mean it is lacking in beauty because it is actually one of the most elegant website themes currently available. The secret to this comes from the fact that the theme uses an advanced version of jQuery, which is an amazing animation script. 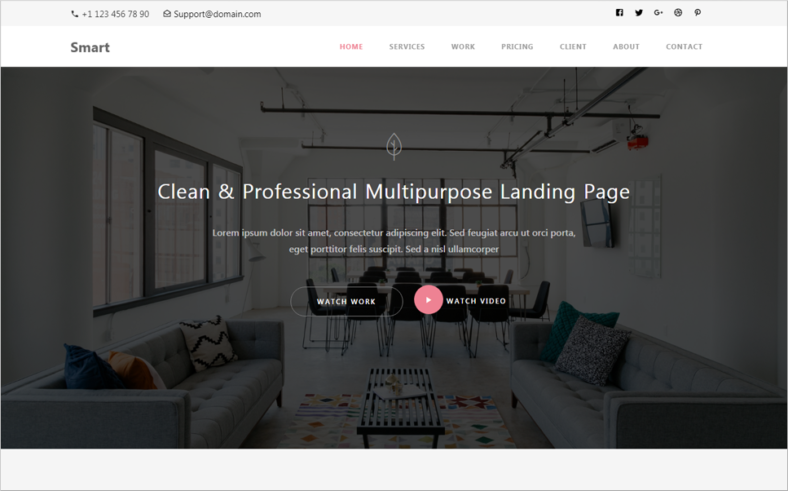 It also has more than 220 HTML pages that its users can play around with, a responsive design, Google Fonts, Master Slider, Font Awesome icons, and a dedicated support team. Due to the fact that this template is highly mobile-friendly and responsive, one might confuse it with a mobile website theme. 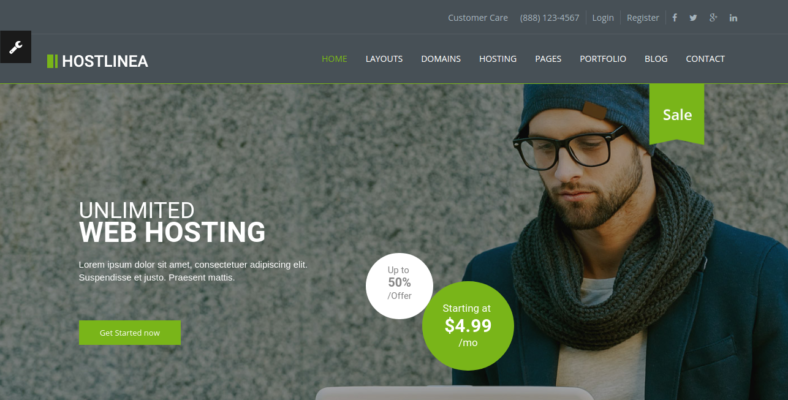 But Clean Host is actually an HTML5 theme that works best when used for sites that handle server maintenance and web hosting. The template is SEO-friendly, which lessens the tasks you have to do in order to promote your web page. Its loading speed is also quite fast. Finally, its codes have been cleaned and perfected to ensure that its users would have an amazing experience with it. HTML5 templates are there to provide you with advantages that normal themes cannot provide. However, this does not make them any better because, at their core, themes excel at different aspects and they should be used based on their specialty. You would not want to use a template that is specifically for HTML5 sites and add WordPress plugins because that will not work. With that being said, keep in mind that these are not all of the HTML5 templates out there. There are a bunch of other ones like eCommerce HTML5 templates, jQuery HTML5 templates, and more. Just be sure to check out their features or their specifications, then try them out to find the best one for your needs.